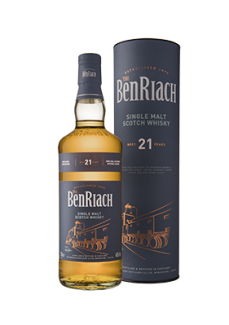 Although Scotch Whisky is traditionally distilled just twice, in the spirit of our bold distilling tradition, BenRiach have been experimenting with a third distillation since 1998, giving the spirit an even more fruity and zesty character. 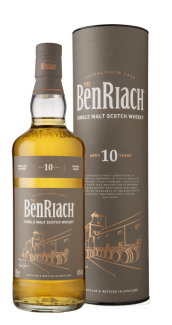 Building on the rich cask maturation profile of BenRiach expressions, this rare triple distilled whisky from Speyside has matured for at least ten years in first fill American Bourbon barrels and first fill Pedro Ximenez Sherry casks. 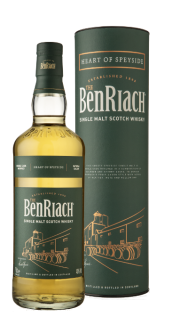 The bourbon barrels add perfectly balanced notes of vanilla and spice, while the Pedro Ximenez casks contribute to the complexity and richness of this smoothest of Single Malt whiskies. 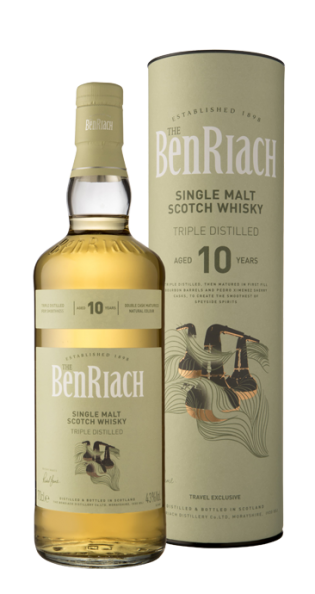 Crisp green apple skin sweetened by a dusting of vanilla icing sugar, white grape, lychee and a sweet barley back note. Vibrant freshly sawn oak, pear tarte tatin dusted with cinnamon and white pepper sauce, with a delicate and sweet floral, barley background.